Get this amazing deal from Ricky Ratchets Auto Repair in London Ontario. A free alignment inspection! Includes road test, visiual inspection of all ball joints, tires, tie rod ends, struts and springs (1/2 hour value). 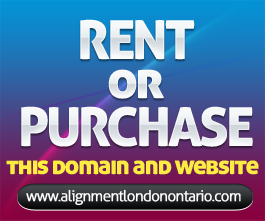 Print this coupon out, tell Ricky that you got this online from www.alignmentlondontario.com and get a free quality inspection. What Happens During an Alignment?